How To SAVE For Your Dream Holiday! Want to save money for your dream holiday? Let us make it easy for you! 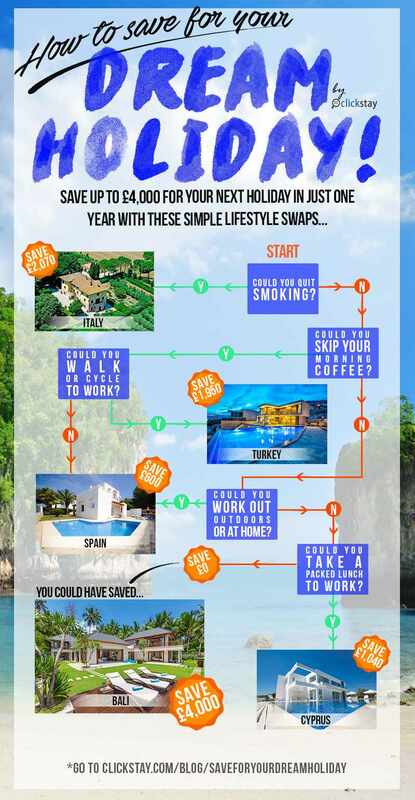 Make these simple lifestyle swaps and you could save up to £4,000! In Clickstay terms, that equals a one week stay in one of our most luxurious villas in Indonesia!